Among these, the 2016 Amendments require EPA to compile and report an inventory of mercury supply, use, and trade in the United States. EPA was directed to publish an initial inventory, covering elemental mercury and mercury compounds, in April 2017, and to publish updates at least every three years thereafter. EPA’s inventory is to identify any manufacturing process or product that intentionally adds mercury, and to recommend actions (including proposed statutory or regulatory revisions) to further reduce mercury use. The initial inventory was based on readily available information, but in order to gather more complete information for subsequent inventories EPA is to issue a rule by June 22, 2018, requiring periodic reporting from any person that manufactures mercury or mercury-added products or otherwise intentionally uses mercury in a manufacturing process. 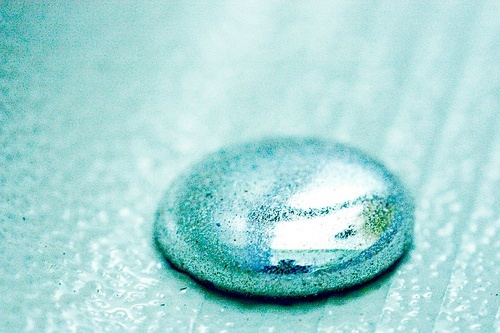 How Does TSCA Restrict Mercury Transactions? Beginning in 2013, the Mercury Export Ban Act of 2008 (MEBA) applies TSCA authority to prohibit exports of elemental mercury (with very limited exceptions), provide for the domestic long-term management and storage of elemental mercury within the U.S., and prevent the sale of elemental mercury held by U.S. federal agencies. The 2016 Amendments expanded the export ban to include 5 named mercury compounds (mercury (I) chloride or calomel; mercury (II) oxide; mercury (II) sulfate; mercury (II) nitrate; and cinnabar or mercury sulphide) effective January 1, 2020 (except exports to the Organization for Economic Co-operation and Development (OECD) member countries for environmentally sound disposal). The 2016 Amendments provide EPA with formal information collection and reporting requirements. For its initial report in April 2017, EPA compiled publicly available data on mercury supply, use, and trade in the United States. What (Existing) Information Appears in the First Report? How is EPA Proposing to Expand Information Collection to Enhance Future Reports? In October 2017, EPA issued a proposed Mercury Reporting Rule (proposed 40 CFR part 713, sections 713.1 – 713.25), requesting public comments (initially due by December 26, but deferred as of December 19 until January 11, 2018). Once adopted the Rule will establish reporting requirements for “persons” that “supply, use, and trade” mercury products in the U.S., including manufacturers/importers and those who use mercury in manufacturing processes, distributors, storage entities, and exporters. EPA expects these persons to cover dozens of different business sectors. Readers should note that the EPA’s proposal does not define “person”; most examples in EPA’s preamble discussion are “facilities” (rather than entity-level persons above the facility level in organizational terms, or operation- or process-level persons below the facility level). Reporting requirements apply to elemental mercury, and to most mercury compounds (the Rule provides a non-exclusive list of 69 compounds, by name and Chemical Abstracts Service (CAS) number). However, the Rule expressly excludes mercury generated as a byproduct that is not used for commercial purposes, and mercury-containing waste. It also excludes persons who are only brokers and sellers of these materials that do not manufacture, import, or use the materials. Reports would be due every 3 years, beginning with a report due July 1, 2020 covering calendar year 2018. EPA will establish electronic reporting procedures. In addition, persons subject to reporting would be required to maintain required records, for at least 3 years (covering a reporting year, until the next reporting year). Amount of mercury distributed in commerce (lbs.). In addition, the report must identify any of the specific mercury compounds identified in the rules, if present. Manufacturers and importers must also provide “contextual information” including county(ies) of origin for imports and destination for exports, North American Industry Classification System (NAICS) codes for mercury distributed in commerce. Amount of mercury in exported products (lbs.). In addition, the report must identify any of the specific categories or sub-categories of mercury-added products identified in the rules, if present. It must also provide “contextual information” including county(ies) of origin for imports and destination for exports, North American Industry Classification System (NAICS) codes for mercury distributed in commerce. Amount of mercury in final product(s) distributed in commerce (lbs.). In addition, the report must identify any of the specific categories or sub-categories of mercury-added products identified in the rules, if present. Reports must also provide “contextual information” including county(ies) of destination for exports, North American Industry Classification System (NAICS) codes for mercury distributed in commerce. Does the organization manufacture, import, process or use elemental mercury or any non-exempt mercury compounds? If so, does the organization create and retain records that could be used to comply with EPA’s proposed rules? Has the organization provided comments to EPA’s proposal?